I know you woke up this morning thinking, "gee! I hope Grace puts some LIFE SIZE photos of herself on the internet today, that would be JUST GREAT!!!" and would you look at that? hope granted! No, the truth is that I will forever be incredibly blog/tech dumb and 4.5 years later am still figuring out the whole photo resize situation. Your patience is always greatly appreciated. Moving on. I bet you didn't know that in real life I'm a really great friend. I am! In fact, I'm such a great friend to poor Blythe who is suffering through a miserable first trimester that I roped her into putting together a similar post (same boots! twin moms!) today. Oh, that nausea and fatigue and general feeling of terrible+awful+more terrible? Put it all aside for the sake of a blog post, B!! Hopefully she'll forgive me in time to be her medicated birth doula. Anyway, Minnetonka kindly let us put together two looks wearing our fancy Bandera boots as part of their, "One Style, Two Ways" series. I'm probably the world's most boring + safe dresser because how spicy can you get with preschool drop-off and Costco runs? Not very. But I do feel a little tiny bit edgy with my foot fringe painting the town Mom. I've blogged about Minnetonka twice before and will probably do so again and again because we are such huge fans. Simon is picky about very few things but his footwear is definitely one of them and he wears his moccasins all the time. One of the kids is always wearing a pair and I'm always so bummed when they grow out of them even though that generally means the next kid in line will get a turn in a few short months so it's all good. I just bought these for Phoebe because our house is an igloo and really wish they made them in my size. I have a pair of the sandals and love them. I'd also love a pair of the Mesa Boots! Love the sheepskin boots - and you and Blythe! I want - I need a pair of ankle booties! Love the back zipper boot hard sole! I love the lace-up hidden wedge! Love the Chrissy bootie slippers! Love the zip up hidden wedge! Bandera! or maybe the lined side zip....! Love your Bandera boots but I would probably go with the kilty suede mocs in dusty brown! My triple fringe boots are my FAV ever. So comfy that we order hot pinks ones for the girls for Christmas this year! The Baja boot...Can't explain it, just want it. Can I just have them all?? I had a pair of moccasins when I was a kid and wore them ALL. THE. TIME. Even after they were worn through and my feet were clearly too big for them, I still insisted on wearing them! those side-zip hidden wedges are perfect - toting around my six-month old + teeny wedge = equivalent to gym leg workout, yes? glad you're penning again, grace! I really like the lace up hidden wedges! I love the Baja boot! I'd like the lace up hidden wedges! So cute! I'd love those boots! They are so cute! you're the best looking mom on the block. Love that outfit! Oh, I just love the classic fringe hardsole boots - am trying to bust out of my own boring shoes and those look like a perfect cozy pair that can still stand up to flying around NYC! The baja boot! also where is your hat from?? The suede ankle boots are so cute! I like the ones you're wearing and the lace-up wedges! So cute!! the penny driving mocs are adorable! I love the lace up hidden wedge--so amazing! the sheepskin/lined mocs or the classic fringe boots! I have slippers and love them! Wow-I really like the penny driving moccasin! I'm dying over the lace up hidden wedge! Obsessed with the Baja Boots! I like the lace up hidden wedge!! :) I'm asking for a pair of slippers for a Christmas! I'm obsessed with the lace-up hidden wedge! Need them in my life!! Pretty sure I am in love with the side zip wedge boots!!! so dang cute OR maybe some slippers....let's be real, ha!!! Gosh, I love them all! I'm leaning towards the lined mocs... need something to keep those toesies cozy! Love the Bandera and the Baja. Glad you're back on the blog wagon! i mean....helllllllllo thunderbirds. love. but hard not to vote for ultimate (and they do mean ultimate!) sheepskin slippers. You are just so cute. I would never begrudge you a blog break, but I'm glad you're back baby. I would get those exact boots you're rocking. Adorable outfit. Entering, even though I never win! Sigh. 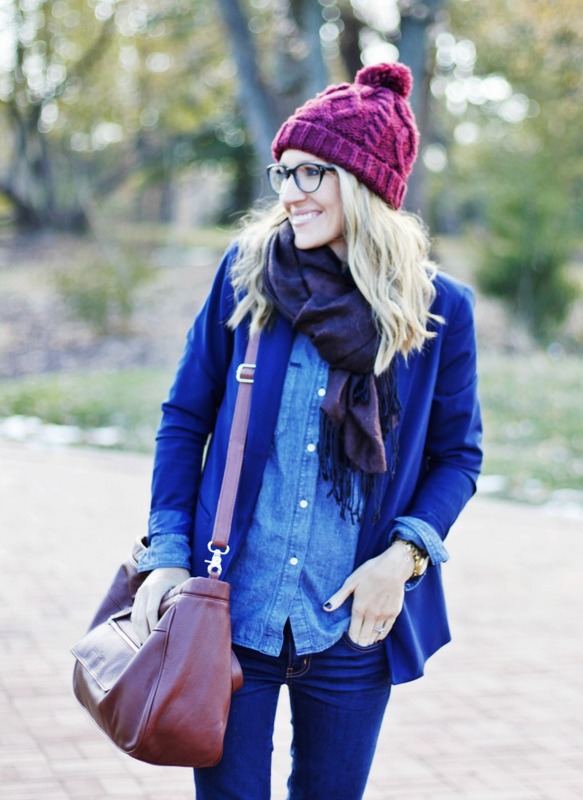 And I'm jealous that you can always find such cute things on ThredUp. Word's worst internet shopper over here. The classic fringe boots in brown are amazing! Love them all!! And so comfy! Ooh, I would love the Bandera boot that you're wearing. Or the two fringe boot! I love how you pull of the monochromatic outfit so well! I'm a huge fan of the classic fringe boot. I love the bandera boot! I really love the double fringe side zip boot! love the hidden zip wedge! I would totally get the Kilty Suede, they come in a wide!!! Which would fit the jetskis I have at the bottom of my legs. Thanks Grace, Glad your back! Okay, I'm trying to double my chance because I have been seeing so much minnetonka love since I started reading your blog and a few others. In fact, I just ordered some slippers for myself and the boys (working on the hubby) for St. Nick's Feast! Would still love the Mesa boots or some red mocs! :) Thanks for the chance! I love the hardsole back zipper boot! Loveeeee Minnetonkas. I have two pairs of Moccasins by them that are technically slippers but I wear them like they're shoes (they're not) and like they are meant to withstand Oregon rain (they're definitely not). How. to. decide!? They are all cute. But I do think that the Mexican chica in me likes either the baja or bandera boots. But the Me to wWe Maasai slippons are pretty cute too! i have one pair of mocs going strong for NINE years, but the tie driving mocs might be their early replacement! I love the LEOPARD CALLY SLIPPER! They're adorable! Grace, where did you get your hat?! Absolutely love it! The wine color is my favorite for the upcoming (arctic) winter. Thank you for sharing the Minnetonka love! I love the wedges and the neutral mocs. The El paso sude mocs! I love love love all of them! Seriously, the mocs are my go to, but I would love some booties! I see a sheepskin mule in my future. Obsessed with this whole look. Penny driving moc is my favorite! I have been hemming and hawing over which pair of Minnetonkas to go for. I think I want some Tramper Boots for "grown ups" but I love these booties too! I have a pair of their slippers and I love them. I would get the Mesa bootie or the back zipper hard sole. I love the side zip wedge. Just adorable! I am forever indebted to you for introducing me to the suede ankle boot, but I think it's time for the hubs to get a pair, so I'd have to say some of the men's mocs. I need to upgrade from slippers to big girl shoes, I would love some booties! 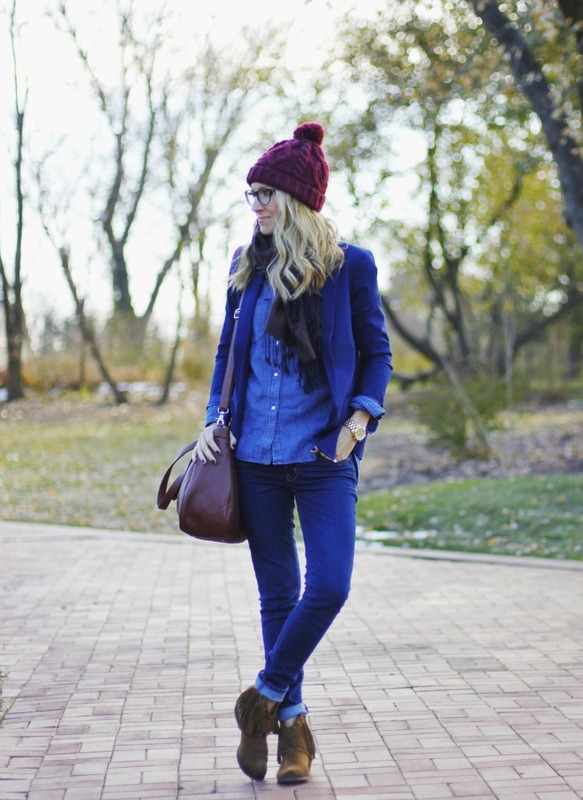 The suede ankle boot looks like perfection! Toss up between the kitty suede mocks or some fringe booties. Love! You and Blythe are both adorable! I love the lace up hidden wedge. I may have to order the sheepskin booties for my niece. So stinkin' cute! I should probably say something for the little ones, but a woman can never have too many shoes right? Hahaha I like the slipper booties, it's hard to pick just one! I love the Mesa Boots. They are gorgeous, but completely practical for everyday with the kiddos. OK now I like the Bandera's best! Ok, those boots are my new fav. Crossing fingers.. I love these bandora boots! i love the me to we maasai mocs! Love the Pug boots and ANY of the slippers! You look like a college girl! Not sure my comment went through, sorry if this is a repeat....love the kilty mocs! Love those boots, so cute on you! I love the Cally slippers! I'm always up for some new boots! I'm really boring/safe, but I would LOVE the kilty moc hardsole, in just regular brown. Fringe bootie and genuine sheepskin bootie for my new niece and back zipper boot and penny driving loafer for me! Only place I ever go is Kroger and maybe Babies R us but would love a pair! Love the fringies on yours!! Want the same. EEEK! Love these boots...and also have an obsession with ThreadUp! Jordan wants the kilty suedes. She told me. Diggin' the Double Studded in Chocolate. Torn between the Cukka Wedge Bootie and the Mesa Boot. The only Minnetonkas I've ever own are slippers. I'm way behind. Maybe this raffle will help me catch up! I love the driving mocs (can't pick a fave right now!) and sheepskin boots. You're so cute! Love Minnetonka. I would love a pair! I've been eyeing the calf height fringe boots for awhile! They just go with EVERYTHING! Love those boots! Their moccasins are great too! I really like the Baja Boot. Very cute. wearing Minnetonkas right this minute! my favs! Love the side zip hidden wedge boot! I think I need them! The Bandera boot is SO cute. I will forever and always be a fan of their El Paso booties, but your Banderas are smoking! And the Mesa is one big YES PLEASE. Love Minnetonka! I still don't get resizing either! But this is a great giveaway! 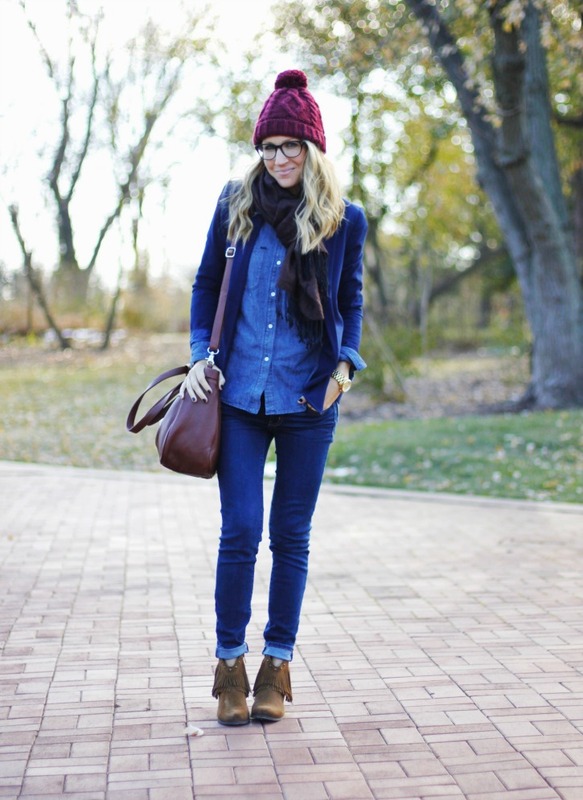 I love the Suede Ankle boot! Those Phoebe booties are so cute!!! black wedge - no question. I love the Back Zipper Boot Hardsole! The penny driving Mocs are classic! Would love a pair. Calf hi 3 layer fringe boots in black. Amazing! wore my mocs today. loveeeee. Those baby booties are adorable! I also love that all their women's slippers can pass as "real shoes". I love Minnetonka - have ever since I was a teen. I think my favs are your fringe ones. I adore Minnetonka mocs, but I think I'd go for your fringe booties! I love the El Paso Ankle Bootie! Thanks! Mesa! Or back fringe booties for the bebe. I'm a big fan of the back zipper boot! Bandera boot, mesa boot....who can choose? Ihopeiwinihopeiwinihopeiwin. Love Minnetonka! They are always so warm! The way you make the fringe look so good is making me inspired to try the Bandera boots! I would love me some fringe! I love the tall front lace up boots. I would wear them and feel like a Pocahontas. I love my mocs! They are about to wear out and I would love a new pair! I love the Mesa Boot!!! Love them! Anything to keep my feet warm! HI TOP BACK ZIP BOOT!!! Love the boys mocc! I'd make both my kids wear them. OOOOOOH I'm loving the 5 layer fringe boot.